-8 new cities in Ukraine: Ivano-Frankivsk, Kropyvnytskyi, Kryvyi Rih, Lviv, Mukachevo, Stryi, Ternopil, Uzhhorod. -one scenery city (no garage, one company and service area) in Hungary: Nyíregyháza. -new map overlays (signs on map view). 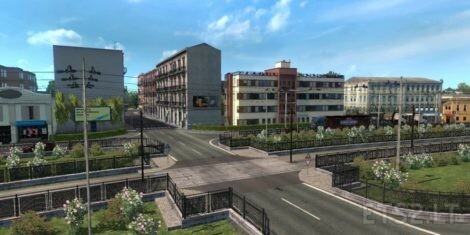 -new Oradea city, Baia Mare and Arad improvements. 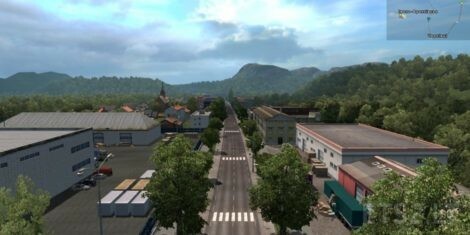 -new map connection with standard Europe and Promods in Hungary, Slovenia and Poland. 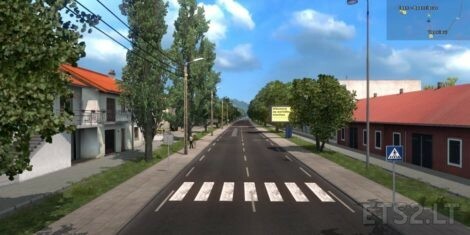 -SuperZoom included in the map for standard and Promods versions. Both 1.8.5 and 1.9 are in Standard and Promods versions. Connections files are different and dedicated to a specific version, not universal. -All Map DLC needed: Bella Italia, Vive la France, Going East, Scandinavia. If you visited our site before hit F5 for refresh.